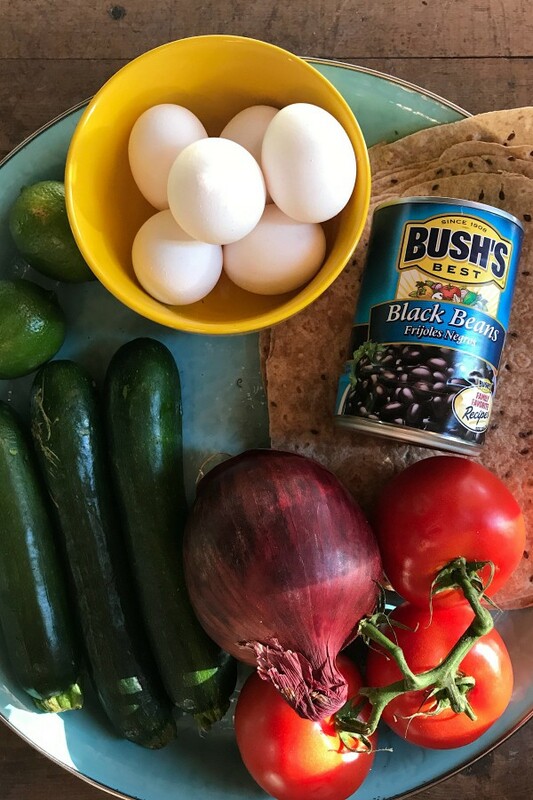 Inspired by the garden season, this vegetarian Grilled Zucchini Black Bean Quesadillas recipe today is filled with garden goodness: zucchini, onions, tomatoes, and fresh garden herbs! This post is sponsored by BUSH’S Beans. 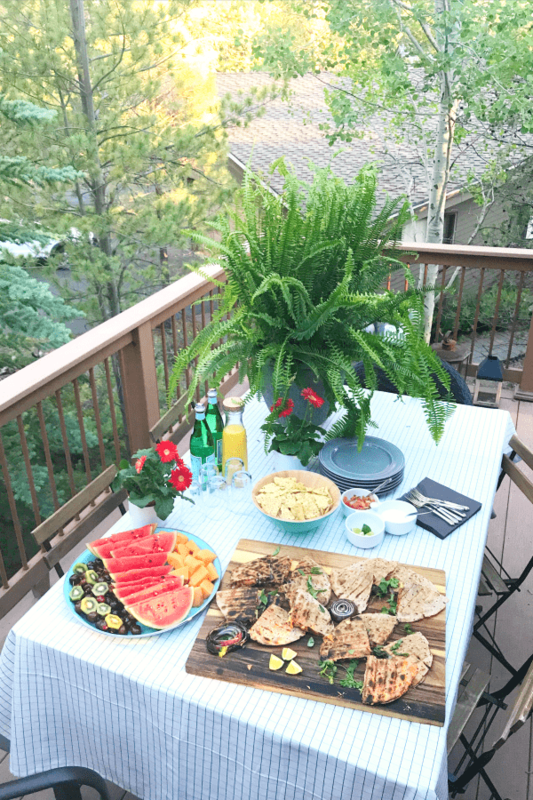 My grilling tip for summer is to keep food prep simple, cook as much as you can from the garden, and set a pretty table! 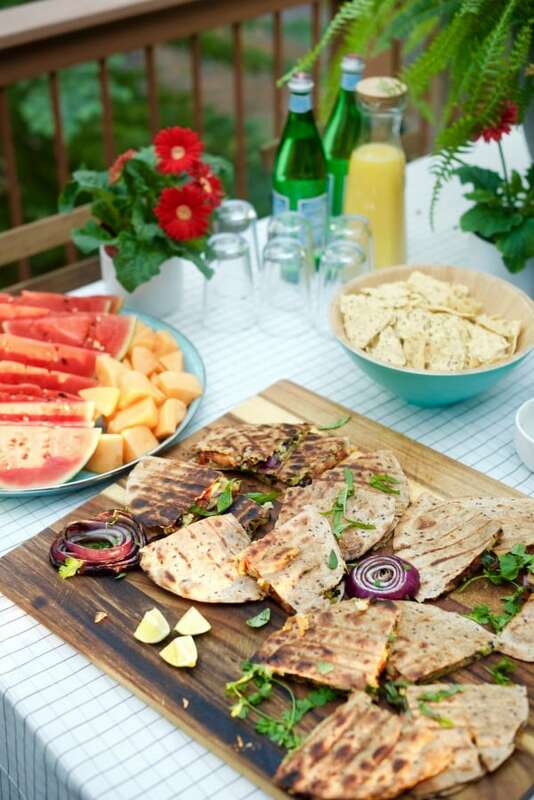 Whether from your own garden, a Farmer’s Market, or the local store, there is an abundance of beautiful foods to enjoy in the summer! 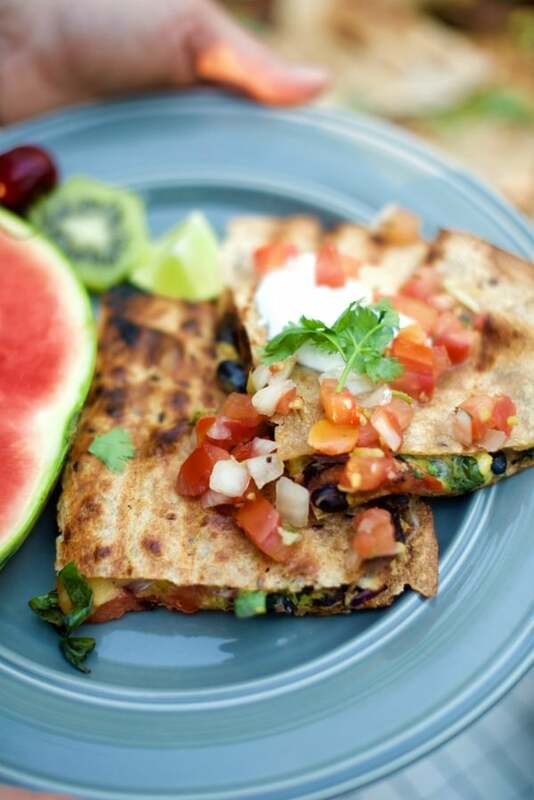 What I love about these Grilled Zucchini Black Bean Quesadillas is that they can be served for breakfast, brunch, lunch, or dinner! 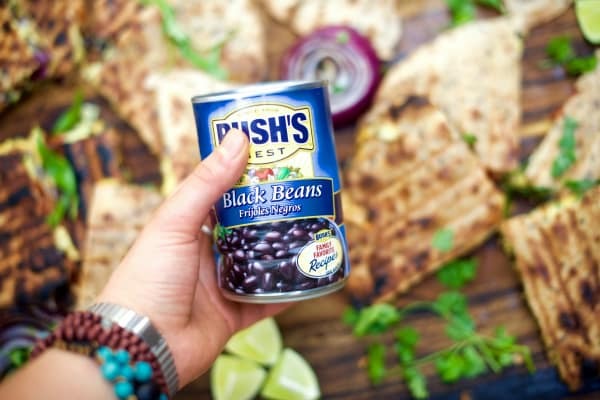 Made with BUSH’S Black Beans, you can substitute any of BUSH’S 40 varieties of beans, so you can try different flavors all year long! 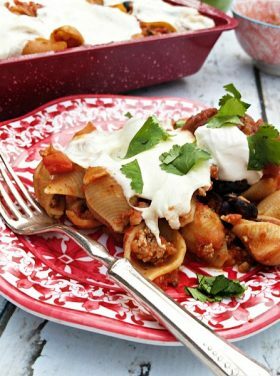 There’s a bean for every dish and taste – from vegetarian, reduced sodium and organic, to bolder flavors and varieties. And if extra-hungry kids are hanging around the house? 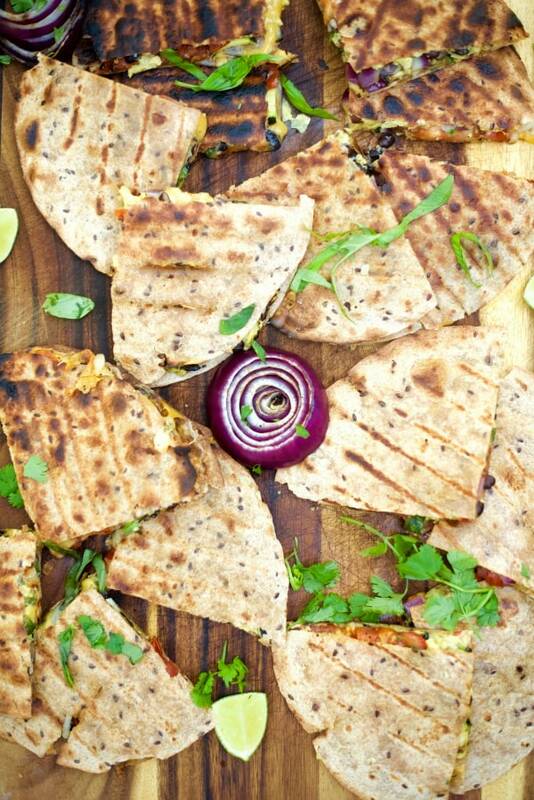 Quesadillas are always a big hit! 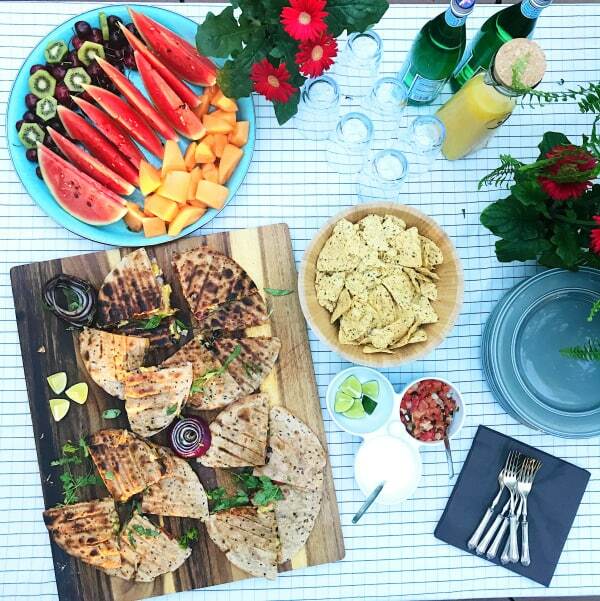 I like to set a table just right, usually with a platter of fruit and a delicious main dish as the focal point. A simple setting where everyone digs in! Missing our garden this year, these ingredients are easy to pick up at the store. But with our new “skinny gardening beds” already planted, we’re looking forward to fresh garden tomatoes in a month or so! A secret to great flavor? Fresh herbs–cilantro and basil. 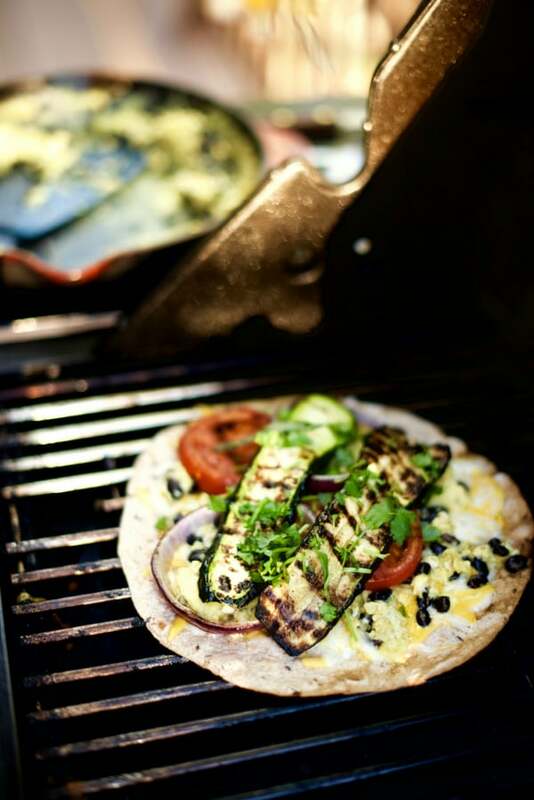 Grill the veggies and set aside. 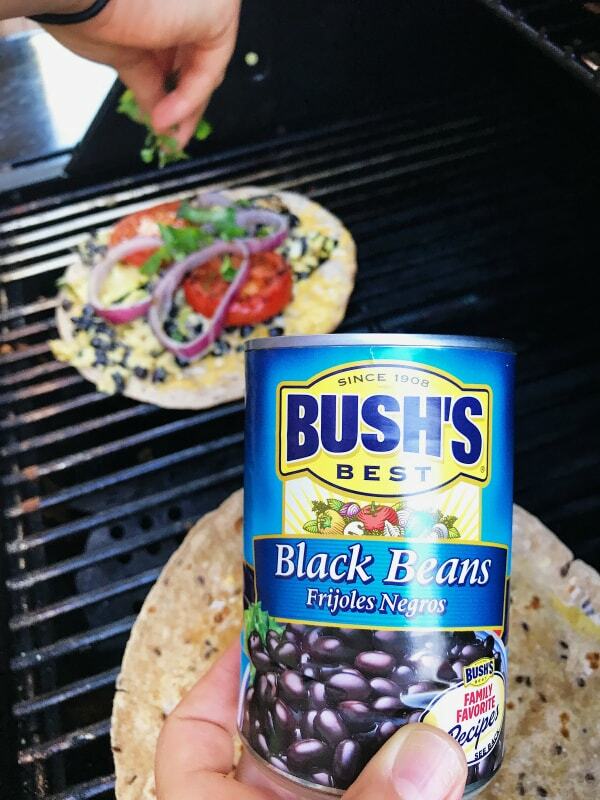 In a skillet over the grill, scramble eggs with the black beans. 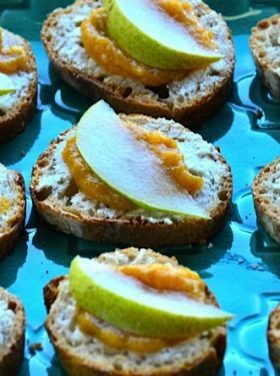 Assemble and place on a large cutting board. Everyone adds their own toppings – ENJOY! We’ve also made this delicious recipe out camping. 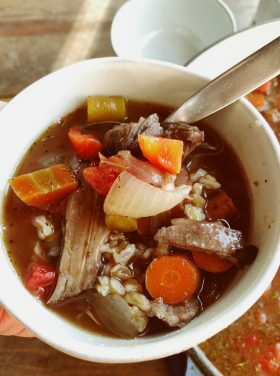 It’s a super-easy recipe to bring along, and cook over the campfire! Preheat grill to medium-high (about 350-375 degrees). Spritz onion, zucchini, and tomato with olive oil midst. Starting with onion, place on hot grill for 3-4 minutes. Add the zucchini and tomatoes; lightly salt and pepper. 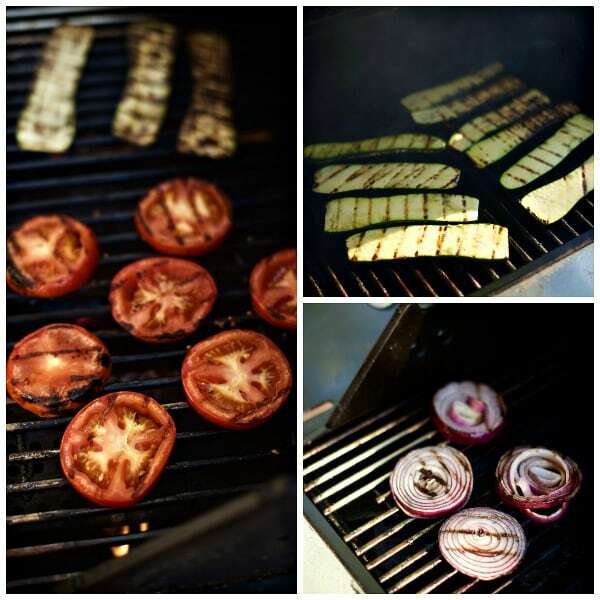 Grill veggies, turning every 4 minutes until cooked. Combine eggs in large bowl and whisk together. Reduce heat on grill to medium low. 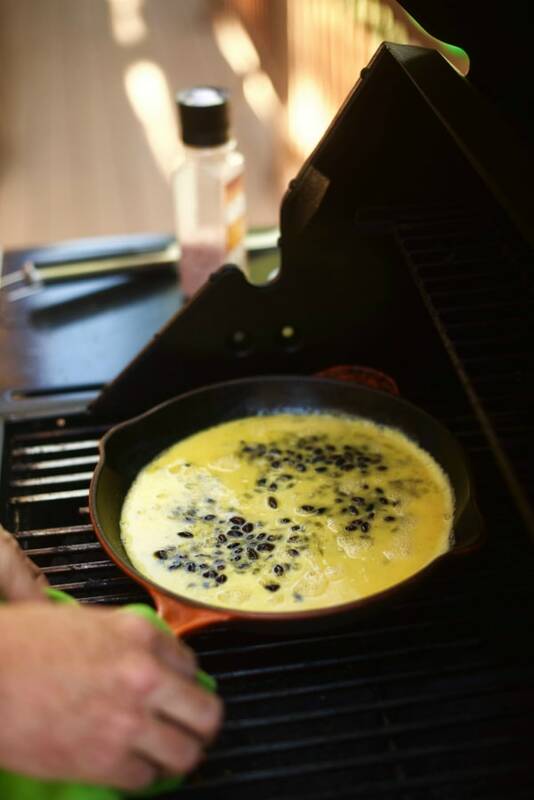 Lightly spray a grilling cast iron skillet with cooking spray; scramble eggs. Gently add in the black beans, salt and pepper to taste, stirring frequently. Remove from heat when almost fully cooked. Turn heat to medium-low. Mist one side of each tortilla with cooking spray. Place tortillas, oiled side down, on work surface. Sprinkle cheese on top of each tortilla. Arrange chopped cilantro and basil, zucchini, tomato, and onion slices in layers over cheese. Add about 1/2 cup of scrambled egg mixture and top with additional 1/4 cup cheese. Oil one side of top tortilla (facing oil side up). Press the top tortilla down with spatula. Cook, allowing ingredients to melt before flipping again. Allow 3-4 minutes per side. Place all 4 quesadillas on a large cutting board. 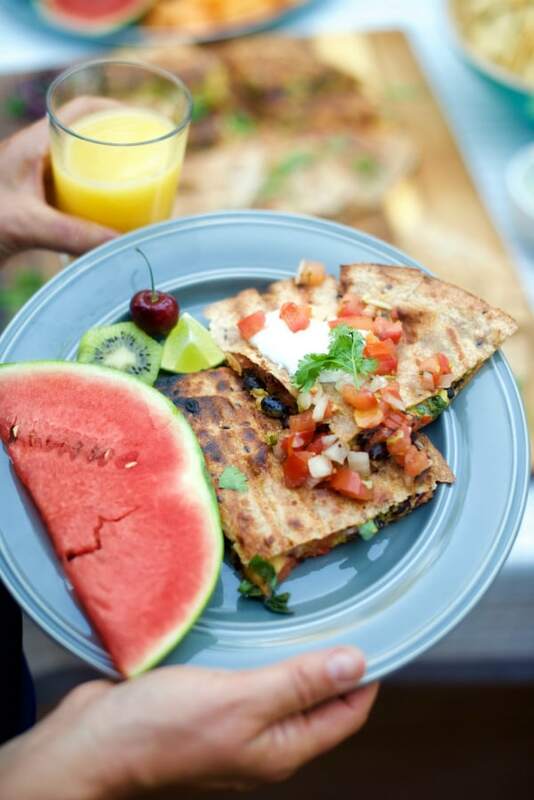 Cut each quesadilla into 4 wedges and serve with toppings such as sour cream, lime, and salsa. 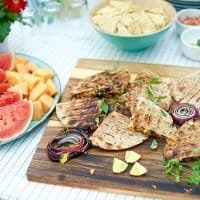 Bring more BUSH’S Beans to summer entertaining: Chicken Pineapple Cilantro Layered Salad, Barbecued Chicken Layered Pasta Salad, Cowboy Caviar Pineapple Dip.